We sat down with Actor Pierre Niney to discuss his intense preparation to play Yves Saint Laurent in the new film of the same name, his kissing scenes with fellow comedy theater actor Guillaume Gallienne, and what he thinks of Netflix coming to France. At just 25 years old, Pierre Niney has already made a name for himself in his native France. 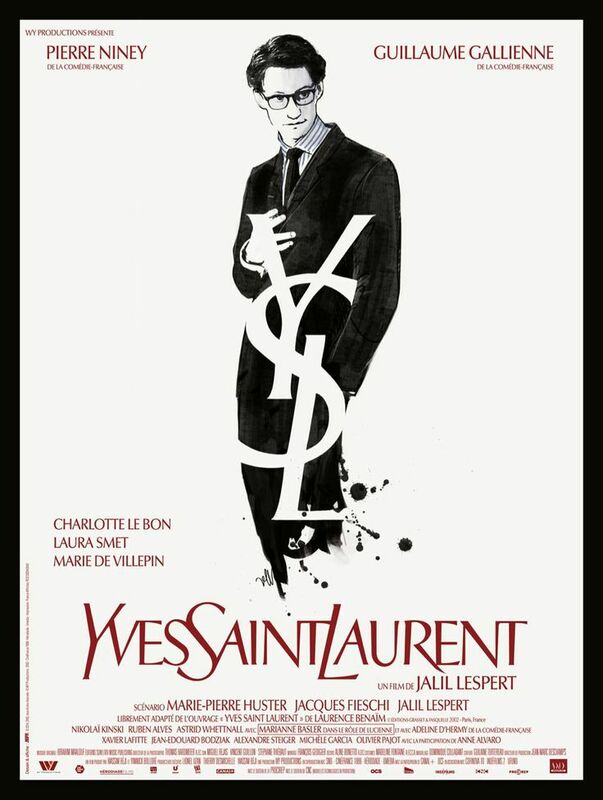 Now, he can be seen in movie theaters around the world, playing the late fashion designer, Yves Saint Laurent in Jalil Lespert’s new film. Yves Saint Laurent, which opens in NYC on June 25, follows the iconic figure from his time as head of Dior, the launch of his own fashion house, and through the 1970s. We caught up with Niney to talk about the process of becoming the iconic fashion designer. Tribeca: First of all, I loved the film. I thought it was fantastic. Yves Saint-Laurent is an iconic figure; did you worry at all about portraying him on screen? Pierre Niney: Well, yes and no. Of course, I mean, he’s a national—even international—figure, so you know people are expecting things. Each person is expecting something different. But, I did what I always do, and the work is my only philosophy and religion. I did a really intense five months of preparation with three different coaches and a lot of [documents]. I did a lot of work on my own, too, on the body and the voice. There was so much to do that every fear eventually disappeared. It became about portraying the Yves I loved and the one I saw in the script; the one I understood [Director] Jalil [Lespert] wanted to portray. On the set, I didn’t want to think about what I’m doing, or think “Is that appropriate? Would Yves have done that? Or that?” I wanted to be free, and have all the tools in my possession. Tribeca: This is your first leading dramatic role on screen. Could you talk a little more about preparing to play Yves, as compared to Balthazar in It Boy, for example? PN: Oh, yeah, that’s really different. The only link is that the two films are talking about fashion, in a way…Well, that was the first time I did such a long preparation for a part. Even in theater, I hadn’t done that. It was, as I said, five months, and I worked with a [sketch artist] because Jalil wanted me to draw for real in the movie. So to get as close as possible to his style, there was a lot of work to do on that. I also worked with a physical trainer to make the proper evolution of the body in the movie. In the seventies, to have the bigger shoulders…Also, a stylist. I worked with him to know how a fashion house runs. How do you do a dress? What’s the process? All the vocabulary, all the codes. And how to touch materials—how to recognize them, wrap them around models. All that was something I had to do to be free. On the set, I didn’t want to think about what I’m doing, or think “Is that appropriate? Would Yves have done that? Or that?” I wanted to be free, and have all the tools in my possession. So, yes, I did that, and on my own, I worked on the body and how he moved and the voice part. I listened to his voice for about three hours a day to really absorb it. Tribeca: I saw Un Chapeau de paille d’Italie, which I thought was hilarious. There, your movements had to be very lively and even exaggerated, but as Yves, you had to be very subtle and sort of delicate. How did you find this center? PN: I would say, of course, by watching and observing him in hours and hours of footage from the archives and the photos. At one point, I was living with him more than anyone. I was watching him all day, like an animal. Observing him to understand the inner speech of the character was really different from anything I’ve done so far.That’s a big key to understanding the fragility of words, the shyness; it’s the inner speech. Tribeca: You were trained in theater, and little-by-little, you’re coming into film. How do you think that background has influenced the roles that you take? Or not at all? PN: Yes, it did, of course. I think it’s lucky to be able to do theater, because you’re able to work—even when you’re young—on big, intense, complex characters. In cinema, it’s rare. When I had this proposition to do Yves Saint-Laurent, I knew I was really lucky, because it’s not everyday that you’re 24 years old and you have such a proposition. I guess Jalil picked Guillaume and me because we were both coming from theater. He wanted to be sure that his actors were able to transform themselves to do a proper composition, which is not necessarily in the French cinema culture, the fact that you have to change yourself and really do a lot of preparation for a movie. So maybe that’s why he helped me, because he wanted to do it with people from the theater. Tribeca: You became a featured player at La Comédie Française at a young age, much like Yves coming to Dior. Were you able to relate any of your own experiences of trying to live up to early predictions for your career? PN: There are some common points, but we’re not—You really can’t compare Yves Saint-Laurent’s life and mine. When he’s taking the head of Dior, as such a young man, it’s historic. At this time in France, it’s huge. When I’m hired in the National Theater Company of the Comédie Française, it’s historic for my mother, not for the country [laughs]! So, it’s really different, but when you’re working on such an icon, such a figure, you take everything you can and you need to reassure yourself. You say, “OK, I’m a human being, he is, too. We have common points on some things.” The real thing is that he was really passionate about drawing first, at the age of fifteen, and that’s the age that I started to do theater and to be really passionate about acting. So I can see that, like the fact that you want to live for one thing and one thing only, that that’s a huge source of happiness for you. That was a real common point that I used. We wanted to tell this story so well that we weren’t shy or under pressure. Tribeca: The main plot point of the film is the turbulent love story between Pierre Bergé and Yves. Both you and Guillaume Gallienne are coming from la Comédie—you both were in Un fil à la patte? PN: Yeah, that’s true! But, I had such a small part in it. PN: [Laughs] Yeah, technically, we’ve worked together! Tribeca: Could you talk a little about working together for this film? PN: I could say that technically we’ve worked together, but we weren’t even in the same scenes… This [Yves Saint-Laurent] was the first time we’ve worked together, and definitely the first time we’ve kissed each other for hours. He was easy. We were both deeply moved and touched by the story of Yves Saint-Laurent and Pierre Bergé. We did a lot of rehearsals with Jalil before shooting, which is really good. It was also something we picked up from the theater, because you don’t often do rehearsals before a movie. It was necessary for such a huge subject. It was great, I felt like a real good will. We wanted to tell this story so well, that we weren’t shy or under pressure. We were just so into the work. I remember the first scene we shot was on the quai de la Seine. That’s the first passionate kiss they give to each other, so that was really intense. It was 8 o’clock in the morning, and we were like, “Oh, hey, how are you?” I thought it was going to be difficult, but actually we were so into it, that every time Jalil cut, we were like, “OK, was that good? Was that really telling that they have a really strong love at first sight thing? Is it passionate enough?” We were so much into the work that it was easy, and it was always like that. I’m a big fan of what Guillaume is doing in theater, on TV. He did really funny shorts called Les Bonus de Guillaume, of which I was a really big fan. It helps, admiring the people you’re working with. That’s the story of Yves Saint-Laurent and Pierre Bergé. Tribeca: Last year, your show Casting(s) began airing on Canal+. Maybe you could talk a little bit about what attracts you to television? PN: The freedom. I hate TV where—and it’s often the case—when you have so many rules and so much to think about. I did it [Casting(s)], and I did it on TV because it was the occasion to work with so many actors that I love and that I’ve met at school, at [Conservatoire national supérieur d’art dramatique] or at the Cours Florent. So I wanted to see these people act, because I knew they were geniuses in comedy, and I wanted to show everybody else that. After that, yeah, it’s just the freedom. I don’t think I’d go on to do another, but because it’s Canal+, and it’s a specialty channel, it’s different; there’s more freedom. The way an actor reacts and the way that reaction is different from one actor to another, you learn a lot, of course, about the animals we all are. Tribeca: Has the process of writing and directing changed your performance as an actor? PN: I think it’s unconscious, but there is work when you’re directing someone. The way an actor reacts and the way that reaction is different from one actor to another, you learn a lot, of course, about the animals we all are. I would say unconsciously, but I can’t say exactly, because I really find being an actor is not just one thing. I’m so curious about writing, but it’s really just about telling stories. That’s the whole thing of what I want to do. To go through acting, of course, which is my first love, but all this is just the normal extension of that. Tribeca: This year, Netflix will arrive in France. Do you think that with this accessibility to new content, French filmmakers will seek out even riskier stories to bring to life? PN: Yeah, I think it’s a new network, and it’s good, because it has to change with what’s happening with the Internet right now. It’s a really good thing. It’s logical and it’s natural that there is a new system like Netflix. It’s good, it’s good. I don’t know what the effect will be on the script, but what I see with all the series—in America, but in France, too—is that there is something happening where the channels are starting to understand they have to spend more money and more time on good stories and good writers. They’re starting to work out the scripts, and that’s a good thing. It’s all very positive. Yves Saint Laurent opens in NYC on June 25th.